Existing paint protection products simply cannot compete with the outstanding performance of new Suzuki Glasscoat (see Suzuki Glasscoat performance comparison chart below). GEN-3 Paint Protection is DEALER FIT only. The Suzuki Glasscoat protection system is so advanced the technology was utilised to protect key components on the NASA Space Programme, delivering exceptional protection in extreme temperatures and the very harshest of environments. Suzuki Glasscoat is up to 4 times thicker than existing fluoropolymer type protectors and is ten times more durable compared to most other products. This unsurpassed and consistent performance means that only Suzuki Glasscoat comes with a standard 5 year guarantee. No inspection or conserver type top up maintenance is required. Suzuki Glasscoat helps new motorcycles retain their ‘just new’ look and revitalises the look of pre-owned bikes. 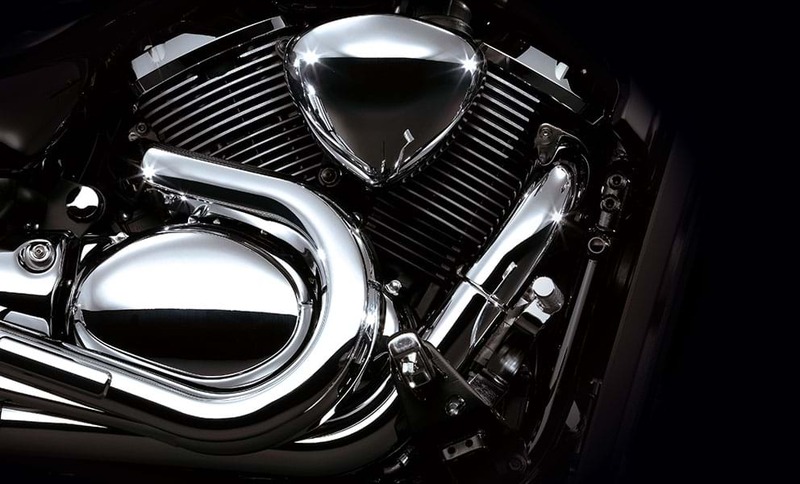 Dirt and grime is easily washed off, ensuring that treated motorcycles stay looking cleaner for longer. This is unique to the market place. And it protects your chrome too! As well as providing market-leading protection for your paint, painted wheels, perspex screens and lighting the Suzuki Protection Collection includes world-class protection for your motorcycle’s chrome. Is Suzuki Glasscoat the best product currently available? Yes, extensive independent research and laboratory testing has conclusively established that Suzuki Glasscoat will outperform all other known paint protection products. What can Suzuki Glasscoat do for my motorcycle? Suzuki Glasscoat provides a hard glass-based layer to your bike. Its polysilazane coating keeps the paintwork free from oxidization, providing a long term beautiful surface. The hydro-repellent quality enables dirt and grime to be easily removed. The versatility of the product means that it can also be used on alloy wheels to protect against high temperatures and to prevent the build up of brake dust. Similarly, the Suzuki Protection Collection will protect your chromium plating from the elements. Does Suzuki Glasscoat require any maintenance? None whatsoever. No more waxing or polishing. How can Suzuki Glasscoat help to keep my bike's paintwork free from dirt? Suzuki Glasscoat's water repellent surface helps provide a self cleaning quality to the paint's surface. Because dirt and grime cannot adhere to the Suzuki Glasscoat layer easily, most debris is washed off with any rainfall. Can I wash my bike without affecting the Suzuki Glasscoat protection? Of course, that's the beauty of Suzuki Glasscoat. Suzuki Glasscoat is extremely resilient, you can hand clean or jet wash your motorcycle. Even better, use waterless Suzuki Drywash, which comes supplied as part of your Suzuki Glasscoat collection. Where can I obtain further supplies of GEN-3 Drywash? GEN-3 Drywash is available from your local Suzuki motorcycle dealer.